Terence Chan and Adam Schwartz from the 2+2 Pokercast have launched an Internet Poker Wall of Fame and are inviting suggestions about who should be included. 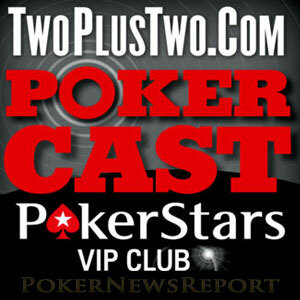 Following recent – and quite heated – debate over who should be inducted into the WSOP Hall of Fame, Terence Chan and Adam Schwartz from the 2+2 Pokercast have decided to set up their own Internet Poker Wall of Fame. Fed up with the restrictive qualification criteria and alleged politics that goes behind closed doors at the WSOP, Schwartz announced in a post on the 2+2 forum that that there will be no age restrictions, and no need to have gained the respect of others or played against Doyle Brunson . The only qualifying criteria that is required to be considered for inclusion on the Internet Poker Wall of Fame is that players must have played at least one hand of online poker. Thereafter Schwartz and Chan will consider the merits of each nominee, and announce a winner each week on their 2+2 Pokercast show. Is there anyone more deserving? Of course not. This is a man that is responsible for much of the poker world that we live in. What would the 2015 poker landscape look like without PokerStars? Without the EPT? Without the contributions of his employees that were trained in the proper way to run an online poker site? Without the world-wide exposure the game has enjoyed under his watch at the world’s largest poker site? Who knows, considerably smaller than it currently is no doubt. Did he get filthy rich doing it? Absolutely. He deserved every penny. 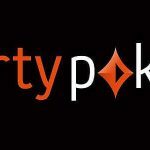 Schwartz and Chan intend to induct one player each week onto the Internet Poker Wall of Fame. Schwartz believes that there are many players in the world of Internet poker that deserve to go up on the “Wall” and intends running this feature for a year to see how it goes. 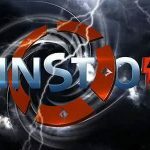 Although the final choice for enshrinement onto the Internet Poker Wall of Fame will ultimately be down to Schwartz and Chan, the two players have started a thread on the 2+2 forum in which they invite the poker playing public to suggest their own nominations. 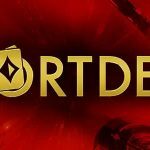 Suggestions to date include industry professionals such as the founder of PartyPoker Ruth Parasol, and the man who was in charge of the company during the Internet poker boom – Anurag Dikshit. Chris Moneymaker has been nominated for the Moneymaker Effect and, for a more recent contribution to Internet poker, Jason Summerville. 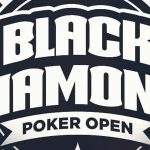 Online poker players on the list of nominees suggested to date include Chris Moorman, Phil Ivey, Phil Galfond, Tom Dwan, Viktor Blom, Ilari Sahamies and David Benyamine. Surprisingly (? ), nobody has thought of nominating Daniel Negreanu yet, although Howard Lederer, Gus Hansen and Brian Hastings have each been mentioned a couple of times! Dark humor we suggest. If you fancy nominating a player for the Internet Poker Wall of Fame, you can do so here; and, if you cannot catch each week´s 2+2 Pokercast, you can find a list of the inductees here. With a strong line-up of industry professionals and accomplished players already in the queue for consideration, you had better have a convincing argument in support of your nominee if you want him or her to be inducted onto the Internet Poker Wall of Fame!